Afternoon: Arrive in the afternoon and transfer to your hotel in time for a swim. Afternoon: A day to acclimatise and relax. 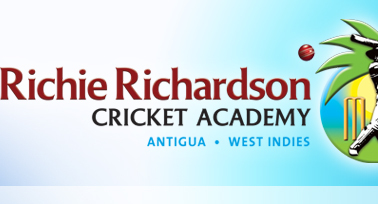 Morning: You will be transferred to the Sir Vivian Richards Stadium where the first coaching session will take place with Richie and Kenny. Afternoon: A game of beach cricket will be organized at our hotel. Morning: The first game for kids. These games will be between other academy schoolsand a member of our coaching staff will be in attendance to assess and coach. Afternoon: Batsmen and bowlers will b split up between Richie and Curtly for specific sessions before another group session with Kenny Benjamin. Day off after a few hard days of cricket. Take a cruise around the island or just chill by the pool. Morning: Another set of coaching sessions. Evening: 20/20 under the lights at either Sir Vivian Richards Stadium or the Antigua Recreational Ground. Morning: A day of cricket skills. A cricket olympics between the schools to practise all the skills learned during the week. Morning: Time to do some shopping, go into the capital, or just sit back and enjoy the Antigua sun. Afternoon: Flight back to the UK arriving at London Gatwick on Sunday.